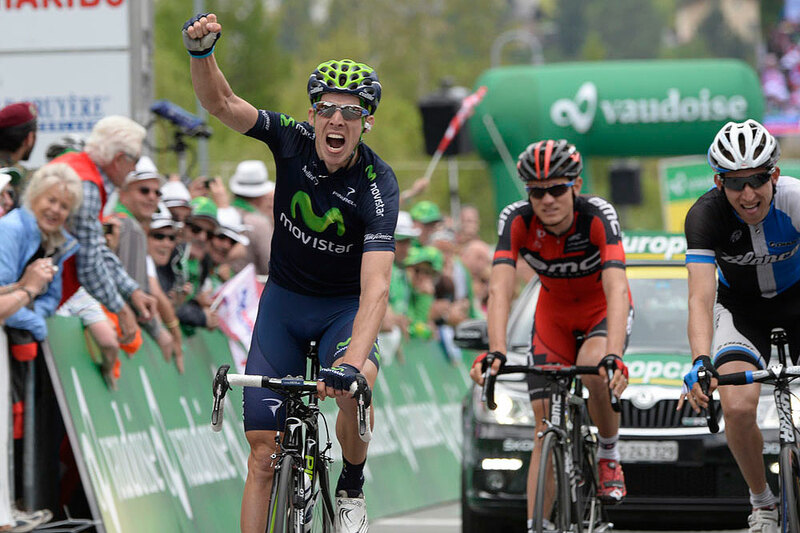 Defending Tour de Suisse champion Rui Costa (Movistar) won the three-way sprint at the end of a tough stage seven on Friday. Costa came over the line ahead of Bauke Mollema (Blanco) and Tejay van Garderen (BMC Racing). Mathias Frank (BMC Racing) came over the line at 22 seconds behind Costa to keep his yellow jersey for another day. Costa moves up to second overall, just 13 seconds behind Frank. 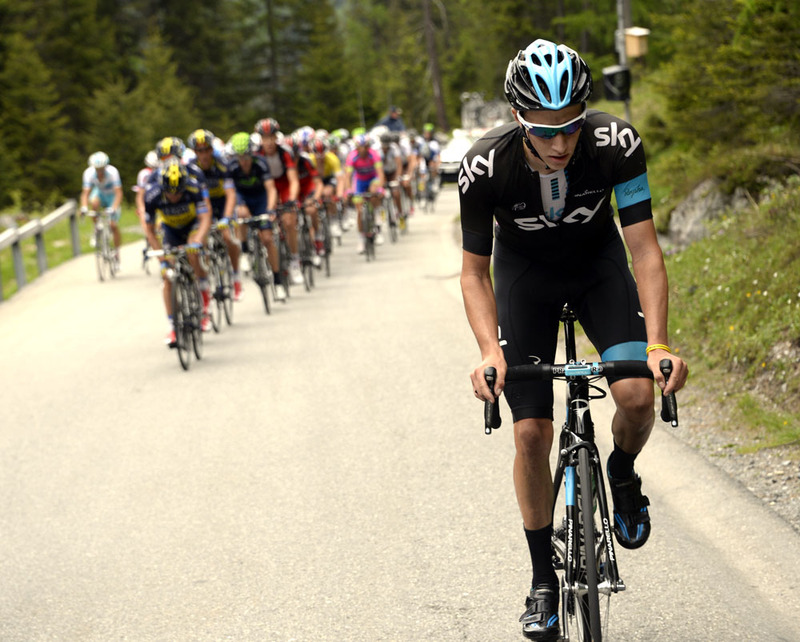 A large group of 14 riders formed an escape group early in the day, but by the final Hors Categorie climb of Albula Pass, Luis Leon Sanchez (Blanco) and Georg Preidler (Argos-Shimano) had left their breakaway companions behind. 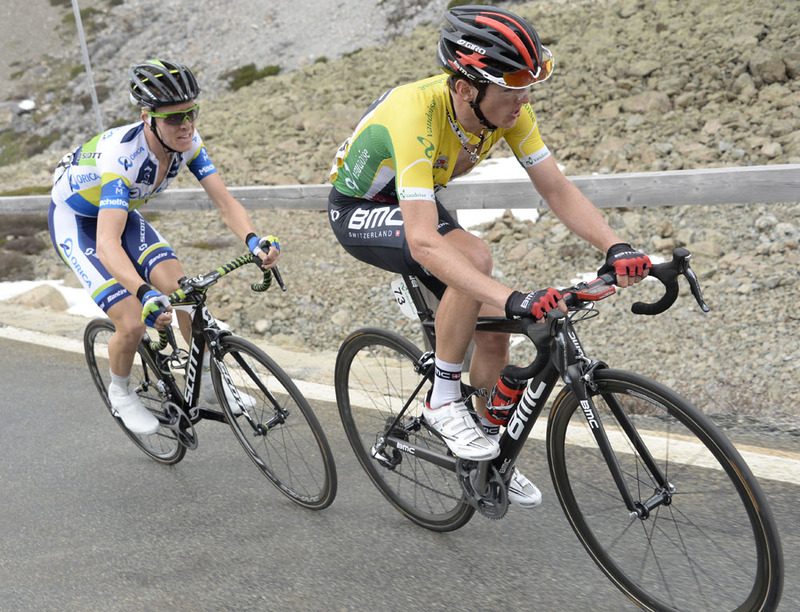 Joe Dombrowski (Sky) attacked the peloton with 19km to go, and caught and passed Sanchez and Preidler. Whilst Dombrowski forged ahead up the mountain, Costa, Mollema, Thibaut Pinot (FDJ) and van Garderen attacked the bunch. They caught and then rode away from the young American two kilometres from the summit. Behind, Daniel Martin (Garmin-Sharp) was trying to bridge up to the lead quartet, passing over the summit with the dropped Dombrowski. They were later joined by race leader Frank, Cameron Meyer (Orica-GreenEdge), Roman Kreuziger (Saxo-Tinkoff) and Simon Spilak (Katusha). Pinot couldn’t keep pace with the other escapees as the pace was upped into the finish. Costa simply had more in the legs to out-pace Mollema and van Garderen in the sprint. The six chasers came in together 22 seconds behind, enough for Frank to retain the overall lead. Pinot took the King of the Mountains jersey as a very worthy consolation prize. withdrawing from yesterday’s stage after a crash. The Australian was diagnosed with a fractured pelvis. Saturday’s stage eight kicks off with the category one climb of Julier Pass, and then it’s mainly downhill save for a small third category bump just six kilometres from the line in Bad Ragaz. The race concludes on Sunday with a decisive 26.8km individual time trial.